Meet Andrea Robin. Robin is passionate about partner yoga and helping to heal people through a yoga practice. 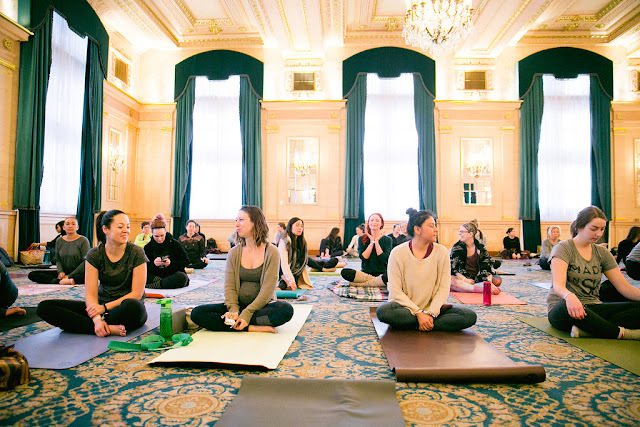 A yoga teacher in Winnipeg, Canada, Robin also lends her talents to great organizations like The Power of Movement and great experiences like the upcoming Prairie Yogi event (UNION: A Partner Yoga Event)! To experience partner yoga, come and join us on Monday, February 17th from 6-8pm at Union Sound Hall for UNION: A Partner Yoga event. We've got fair trade wine, delicious pizza courtesy of A Little Pizza Heaven and nutritious snacks thanks to Vita Health. Purchase your tickets here. Please continue to vote for your Prairie Yogi of the Month! We love hearing your recommendations and feedback. 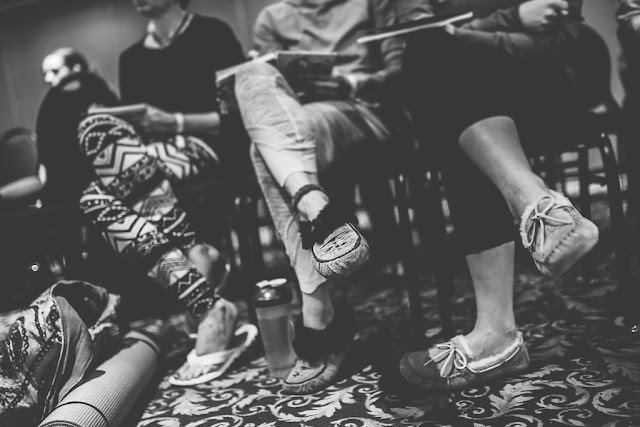 We also LOVE telling stories and featuring amazing yogis doing wonderful things in the prairie community. And just a reminder that Prairie Yogis of the Month do not have to be yoga teachers! If you have someone in mind you would like to see featured as your Prairie Yogi of the Month, email us at prairieyogi@gmail.com!